I would sincerely like to thank Dr. John Linnane and his staff at Rathfarnham Orthodontic Practice for the professional and hassle free care my daughter Katie was given throughout the last few years. Katie had braces fitted to correct her not so perfect teeth and was closely monitored by John and his staff with regular check ups and advise, at the end of each check up she was allowed to pick different coloured bands to put on the braces which she loved doing. As braces are the height of fashion she had great fun going into school the following day and showing her friends the colours she had picked. I had several consultations with other orthodontists before deciding to have my treatment carried out by Dr. John Linanne and his team. ​The friendliness and professionalism of the staff was very reassuring and they made the whole process of getting my braces easy. I had no problems coming here and was very relaxed. 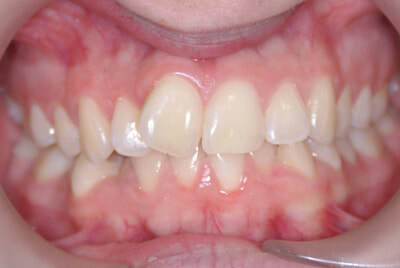 I am thrilled with the beautiful work they did on my teeth. I definitely recommend Rathfarnham Orthodontic Practice. 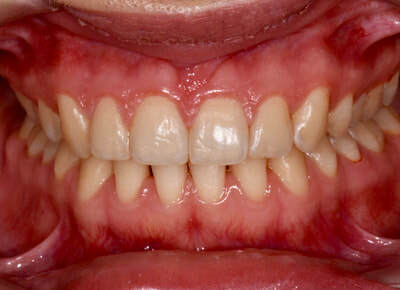 I booked a consultation with Rathfarnham Orthodontic Practice as I had been considering braces for years. I found the staff extremely friendly and helpful. They understood what a huge decision this was and they gave me great advice, time and guidance. 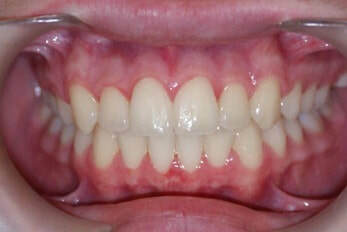 After my consultation I knew that John's practice was a good choice and I decided to get the braces done there. John and his team are very professional and friendly and they made this experience very easy and stress free for me. 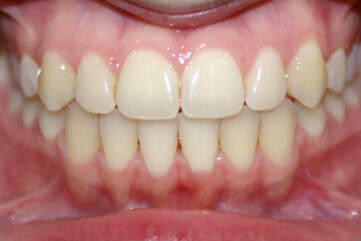 He provided an excellent service and from the first day I got the braces on I could see an improvement in my smile. The treatment has turned my life around for me. Beforehand I had no confidence in my smile and would always try to hide my teeth. Now I love my smile and when I see a photograph of myself, I no longer cringe at the sight of my smile. It has boosted my confidence and to me, it is the best money I have ever spent on myself. Everybody who knows me says that it was the best investment I could have made, and I have to say I agree with them fully. I am very happy with the treatment I received in Rathfarnham Orthodontic Practice and already I have recommended them to a few of my friends considering getting braces. Dr. John Linnane is an excellent Orthodontist and I would highly recommend his practice. ​For the last couple of years I was interested in having braces fitted, as my teeth had gaps between them and I was really self-conscious about them so I went to Rathfarnham Orthodontic Practice and spoke with Dr. John Linnane. John was really helpful and made me feel very comfortable. When I started my treatment everything was done in a very professional and a nice relaxed atmosphere. The staff were very friendly and always arranged my appointments to suit me. I couldn't believe how easy it was having all the treatment done, I imagined it to be painful but that was not the case at all. At each appointment, I was in and out in 15 minutes. Since having my braces removed I couldn't be happier the results are amazing, I used to try hide my smile from photo's but now I am finding myself using any excuse to smile for a picture or in general. Everyone that knows me are amazed how much better my teeth look and see how much happier I am in myself. I now have the Hollywood smile. They were a great investment, the price was very reasonable and affordable and before I knew it I had my braces paid for and off. I would highly recommend Dr. John Linnane and the staff at Rathfarnham Orthodontic their professional and caring service is next to none. John and the staff of Rathfarnham Orthodontics have been welcoming and extremely helpful since the beginning of my treatment. Each appointment John showed great interest in improving my teeth and constantly kept everything perfected. 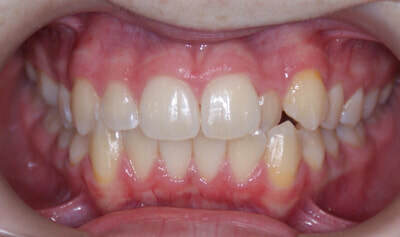 Braces have hugely impacted not only on my teeth but my whole shape of face and I am so delighted with the whole outcome! I have highly recommended the service John provides to many family and friends and they have left with all positive comments. 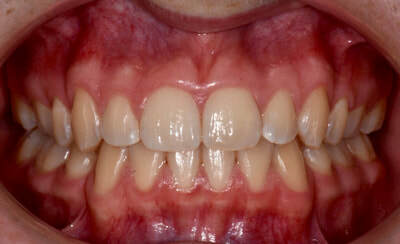 I would advise anybody considering braces to definitely go for a consultation-it was the best decision to ever make! The treatment I received from John and his team was second to none. From brace fitting to monthly appointments John's eye for precision is excellent. I am delighted with the final result and would highly recommend treatment from John's practice to any prospective patient. I cannot thank John and the team enough for all the care and effort they put into my amazing smile. Every step of the way was hassle free and easy. I had amazing care all the way. I started with a treatment to fix my bite before I could have braces fitted, something I would have never considered a problem but it shows the amazing effort John goes to to ensure you get the results you want. After two years of braces I couldn't be happier with my amazing smile, I couldn't wait to show off my brand new smile . I would have no hesitation in recommending John and the team to anyone who is considering braces. Before getting my braces fitted I would never smile in pictures or show my teeth because I hated them so much. After almost three years of John and his staff's hard work I finally feel confident in my teeth and cannot stop smiling. I couldn't have asked for a better outcome and I am absolutely delighted with my teeth. I would like to thank Dr John Linnane and his staff at Rathfarnham Orthodontics. He was highly recommended by my cousin as she got braces fitted. My teeth were very crooked and I hated my smile. 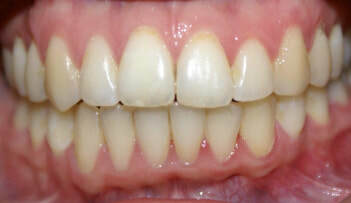 But now after 3 years of professional care from John I now have the perfect teeth and even better smile. He done everything he could to make me more confident in smiling. Before I got my braces I was very unhappy with my teeth. Now 3 years later I am so delighted with my new smile. John is an excellent Orthodontist. Him and the staff's hard work paid off and I couldn't have asked for a better outcome. The friendliness and efficiency of the staff was very reassuring. The braces were a great investment and I would highly recommend Dr John Linnane and all of the staff at Rathfarnham Orthodontics. I got my braces in 2016 and I have now got them off two and a half years later. 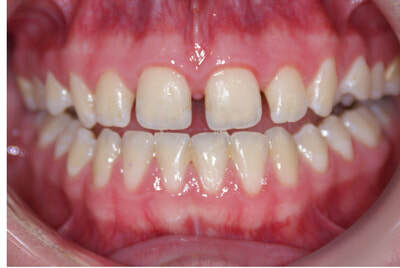 I had a really good experience in Rathfarnham Orthodontics. Everyone there is extremely helpful and kind. John was always very helpful if I ever had any questions about my braces. I am so pleased I went to Rathfarnham Orthodontics and I could not be more happy with my smile. I would highly recommend Dr John Linnane and all the staff at Rathfarnham Orthodontics When I got my braces off I was stunned at the results, it was so amazing to see such a huge transformation I feel so grateful for all the work John put in to helping me get the results I've always wanted. Throughout the years I've been coming I've always had a pleasant experience. John and all the team made it extremely comfortable for me and always talked me through while giving me great advice and guidance. 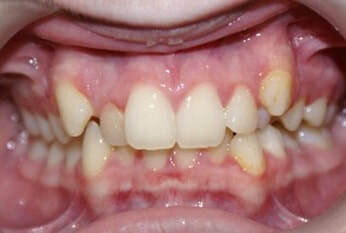 Even now two years after my braces were removed they are still there to answer any questions or concerns that I have. I couldn't be happier or more grateful for everything they have done for me I'm delighted with my smile. John Linnane treated all my children over the past seven years. His calm professionalism and good humour helped them achieve happy smiles with the knowledge that they were in good hands from start to finish. Every part of the treatment was explained in full to both them and me. From the moment you walk in the door to the time you leave every little detail was taken care of. 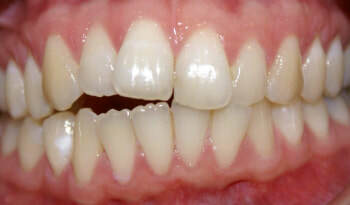 I would recommend John to anyone looking for that perfect smile with reassurance of a highly qualified Orthodontist. I want to say a big thank you for everything you have done over the last number of years for David and Naomi. They are both so proud of their teeth now and we are all delighted with the fabulous results. We experienced an excellent and professional service from start to finish. We always felt at ease thanks to the friendly and relaxed approach. Leonie was excellent always extremely helpful and informative regarding after care advice and appointments. John is an excellent professional, you know he wants to get the absolute best possible result . He demonstrated patience and understanding at all times. And the results have surpassed our expectations! I would highly recommend Rathfarnham Orthodontics, John and the team. You will not be disappointed. I am so grateful for the wonderful work you did to make my teeth the way they are now. I love my new smile! Also I want to thank the girls they were always so courteous and helpful. John's goal is to get you a healthy and perfect smile - no matter how long it takes or how many visits and tweaks he wants to do it right and ensure results will last you a long time. The team at Rathfarnham Orthodontics are really nice and friendly and very helpful. when my braces were removed the results were amazing. 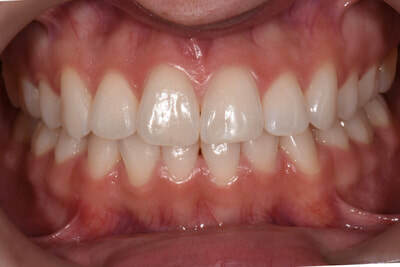 I could not believe how perfect they turned out (it is hard to see exactly how they will turn out when your braces are on) My teeth are lovely and I have smiled more in the last 24 hours than I have in the last ten years. Should have done it sooner! Thanks so much to everyone at Rathfarnham Orthodontics. 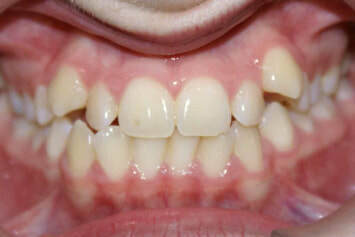 I'm delighted to have got my braces from John as he was thorough, meticulous and always a pleasure to deal with. Through his consistent effort and support he delivered dream end result and the ideal finished product.What started as a somewhat complex job was seamlessly dealt with and so I'd like to say a big thank you to John and all the team for all their hard work.